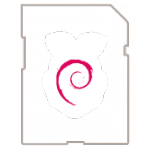 Raspbian comes pre-installed with plenty of software for education, programming and general use. It has Python, Scratch, Sonic Pi, Java and more. The Raspbian with Desktop image contained in the ZIP archive is over 4GB in size, which means that these archives use features which are not supported by older unzip tools on some platforms. If you find that the download appears to be corrupt or the file is not unzipping correctly, please try using 7Zip (Windows) or The Unarchiver (Macintosh). Both are free of charge and have been tested to unzip the image correctly. Note: Raspbian and NOOBS contain Java SE Platform Products, licensed to you under the Oracle Binary Code Licence Agreement available here. Mathematica and the Wolfram Language are included in this release under license and with permission of Wolfram Research, Inc. and may be used for non-commercial purposes only. By using this software you agree to be bound by the Wolfram Raspberry Pi Bundle License Agreement available here.